Lets go Surfing in Uruguay! Are you in need of an exciting, new surfing adventure? Think about surfing in Uruguay, a beautiful South American country resting on the southern tip of the Atlantic Ocean. The average temperature of the country is between 6 to 14 degrees Celsius and 17 to 28 degrees Celsius, or between 43 to 57 degrees Fahrenheit and 63 to 82 degrees Fahrenheit. With all of the tidal lagoons coming up into the ocean, you will be sure to catch great waves on any given day. 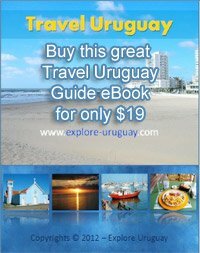 Planning your trip to Uruguay will be easy, but consider your needs: are you looking to explore Uruguay and take part in Uruguayan holidays or do you want to just surf freely and not worry about any crowds? If being around other surfers-and people in general is something you enjoy, then visiting Uruguay in January through March will be a fine idea. That's a big tourist season for Uruguay because it's during Carnival. If you surf near the capital city of Montevideo Uruguay, you will be able to take in some of the Carnival celebrations when you aren't surfing, so you'll be entertained day and night. However, if you want lots of open space to yourself, you might want to surf Uruguay during April, May, and September through December. It's also fine to surf in June, July and August, but the weather in Uruguay, while rather warm and humid the rest of the year, gets a little chillier then. That being said, it won't be cold enough to be unsurfable, but it's just information you should know before try to surf in Uruguay. If you want to explore Uruguay on your holidays and surfing is something you've always wanted to try, you will be able to find a good spot for beginners. La Aguada, located near Rocha Uruguay, is a great surfspot for beginners, as is La Barra Uruguay, located near Punta del Este. However, if you are an intermediate or advanced surfer, many locations near Punta del Este will be a good choice for you as well. Experienced surfers report that the best place to consistently find huge waves is in Punta del Este Uruguay, due to the presence of many sand banks and rocky bottoms, more commonly known as point breaks. Winds commonly come in through the north in this area, which is a bonus while surfing Uruguay. However, if you do experience adverse winds, some of the beaches in Uruguay are actually protected from the wind because they face the River Plate. Popular beaches you'll want to visit if you choose to go surfing in Uruguay include El Emir beach, the most popular in Punta del Este, as well as Montoya beach, which sometimes hosts a stage for the World Surfing Championship. Not only are the waves reportedly larger here than in other places, but it's a beautiful part of the country. Additionally, if you also dig windsurfing or kitesurfing, Punta del Este is the perfect site for that as well. Surfing in Uruguay will challenge you and leave you exhilarated. What are you waiting for? Call up some friends, pack up your board and gear, and head out to surf Uruguay now!